Correx is light, rigid and very cost effective. 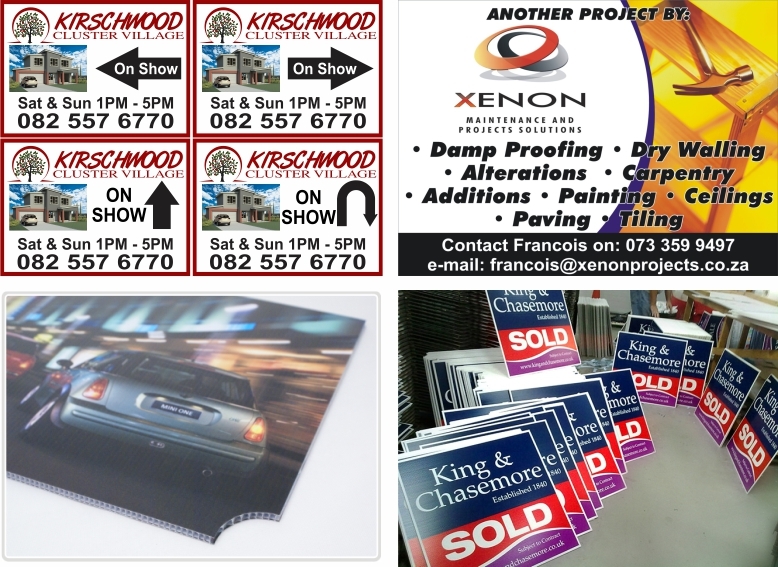 It is ideal for many kinds of sign displays and advertising applications. The correx board we normally supply is 3 mm thick. It cannot rot or swell like timber or cardboard. Correx is constructed like corrugated cardboard with a hollow box tube centre, known as flutes. It is made from polypropylene and is mostly used for Estate Agent signs. Standard Correx board comes in three base colors: white, yellow and black. Printing on correx generally makes use of high contrast, high impact color combinations.